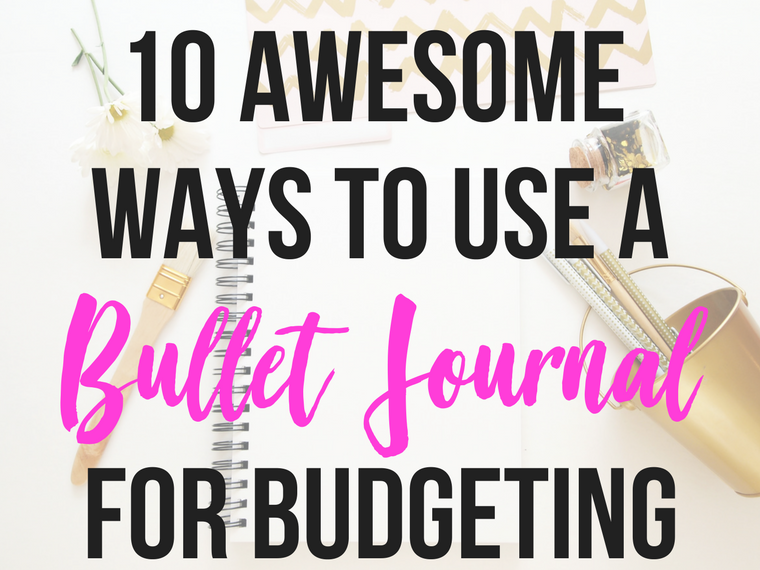 Get inspiration and ideas on how to start a bullet journal budget with these 10 awesome ways to use a bullet journal for budgeting. 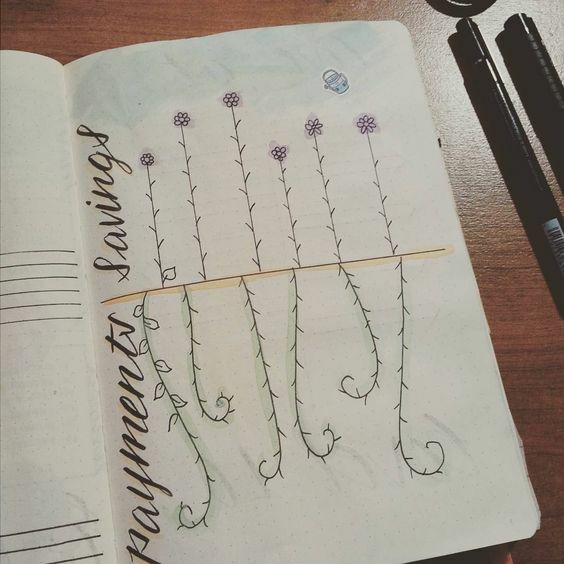 Bullet journals are all the rage these days, and I love it. I’ve always loved doodling in a journal so when I learned that bullet journals are now an actual thing I was pretty happy 🙂 And the fact that you can start your own bullet journal for super cheap makes me even happier – no more outlaying over $50 for a journal! You can use a bullet journal however you want, but one of my favorites is to use a bullet journal for budgeting. 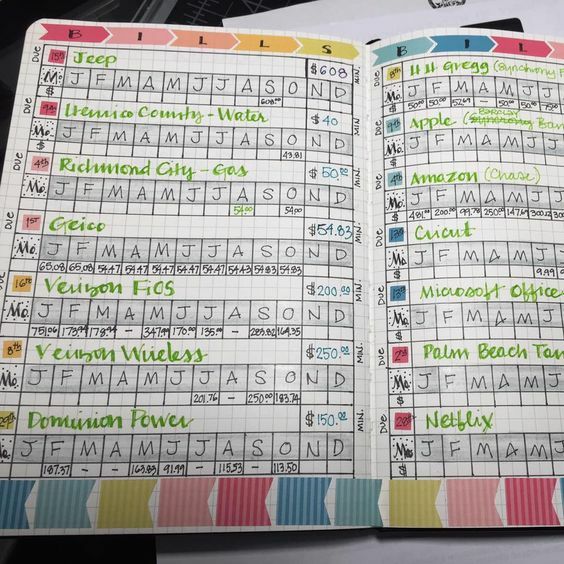 A bullet journal budget is an excellent tool to help you keep your spending in check, reach your savings goals, track your budget, pay down debt, etc. And best of all, you don’t need to spend ridiculous amounts of money on an expensive journal. You just need a blank journal from Amazon and if you’re feeling fancy, maybe a fineliner color pen set, but you can totally start with a regular pen, too. When we were in the process of paying down our debt, I used a bullet journal debt tracker. Because I’m a very visual person, I found it exciting and encouraging to see our debt snowball increase to the point where we were debt free. I’d love to share a picture with you of my bullet journal debt tracker page, but unfortunately, given the nondescript appearance of my bullet journal, it seems to have been tossed out when we downsized and moved house – oops. 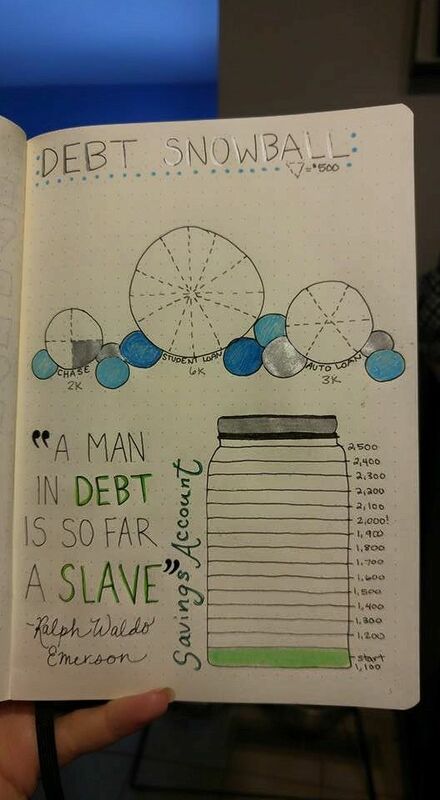 I love this debt snowball tracker I found on Pinterest – I’m a sucker for inspiring quotes and I love the little pie charts. 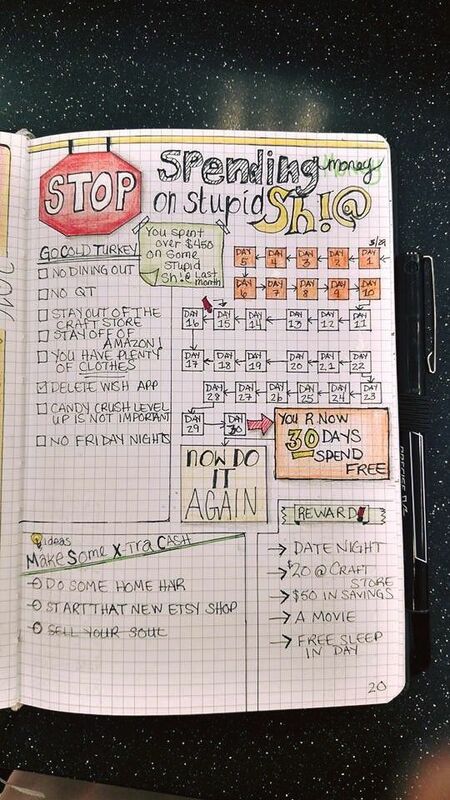 Whoever created this no spend tracker for their bullet journal is on my wavelength – I lol’d at this! I especially love the reward section – free sleep in day would be my reward of choice but I have a 2-year-old so yeah… unlikely! 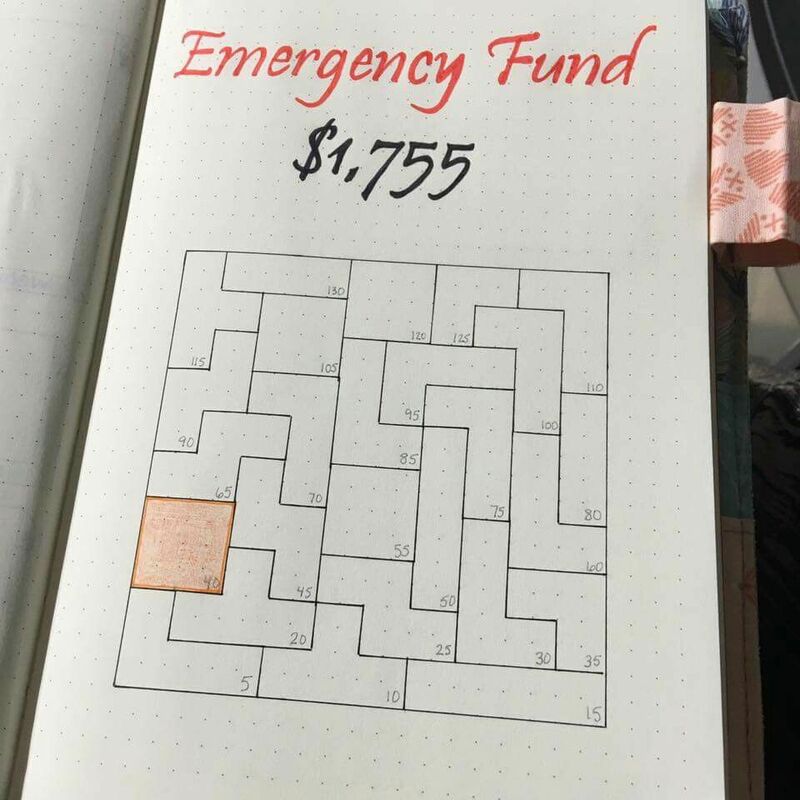 I was a huge tetris fan as a kid (and still probably would be if I had the time to play video games haha) so I love this tetris themed emergency fund savings tracker. 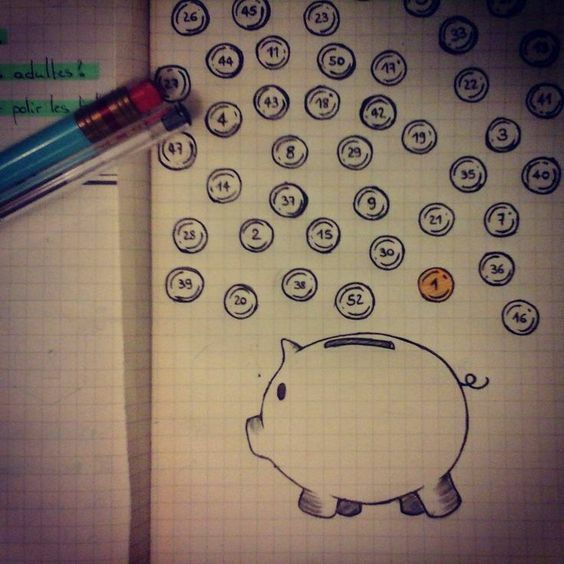 How cute is this piggy bank bullet journal tracker? 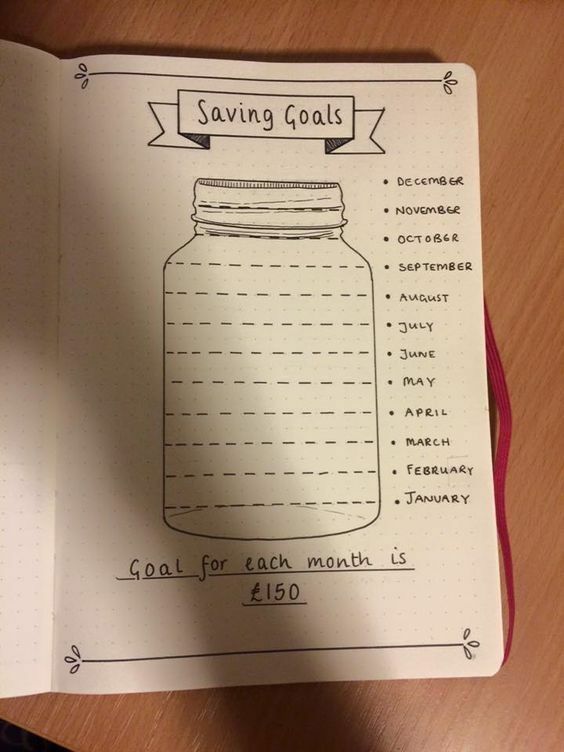 I’d use this in conjunction with my reverse savings challenge and color in each amount once I’d saved it. I like how this bullet journal budgeting tracker gives you a complete overview of the year, so you can see how you’re going month to month. You can easily adjust this to fit your own needs. I’m not sure if mason jars are still a “thing” anymore, but I don’t care – I love the idea of “filling up” your mason jar with each savings account deposit. 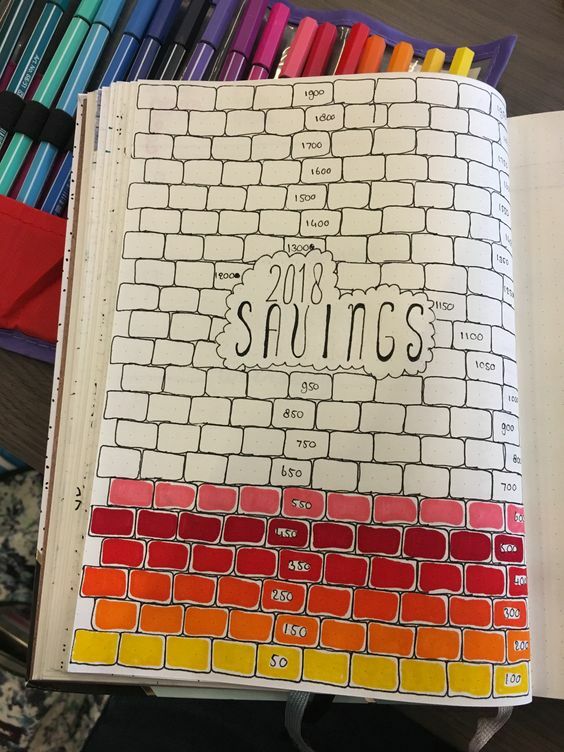 LOVE this idea of building a wall of savings! 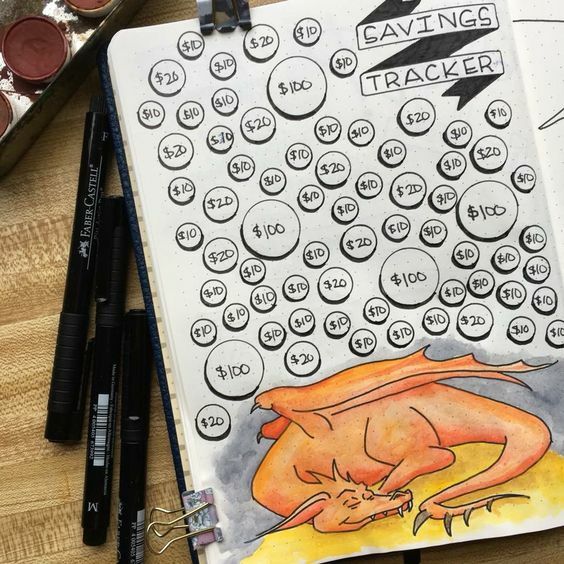 Fun fact – I minored in fantasy literature for children at university (yep, it’s a minor…) so I kinda love this dragon savings tracker! 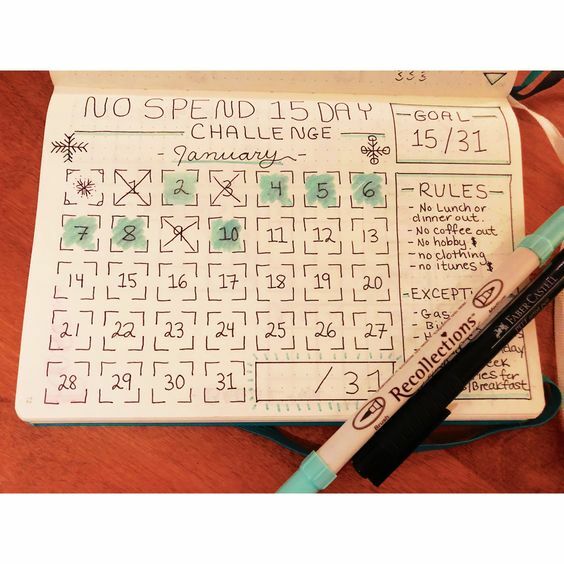 So there you have it – 10 awesome ways to use a bullet journal for budgeting. Hopefully they’ve given you some inspiration for your own bullet journal. And remember, don’t go spending redic amounts of money on a fancy journal. Grab a cheap journal from Amazon and make your bullet journal fancy with your own awesome creativity!